A lovely stay in the downtown Chateau St. John. Started the day in the early morning with 3 hours of finishing up an OAC grant for mailing off today. 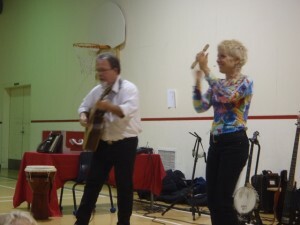 Here’s hoping for ‘cash and valuable prizes’ for a Celtic Rathskallions and Orchestra project for schools this spring! 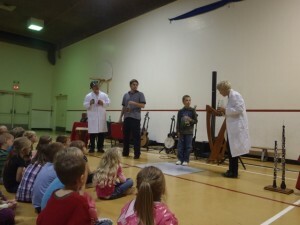 A morning show in Titusville, NB to a wonderful group of students. There is a string program at elementary schools in this district and we were serenaded after our show by a young group of performers. Afterwards, errands in St. John before making our way to catch the ferry for Grand Manan for our weekend stay there. A 1 1/2 ferry ride in a huge new boat….cold and breezy and no whales to be seen but a fun passage none-the-less. Checked in at our Marathon Inn near the ferry landing harbour and scooted to a fine fish dinner at Galloways down the road. We sure have been spoiled with some great seafood this trip!